Need help finding the exact time the event loaded? Welcome, friend guest, to the headquarters of the Snowager Stats Project. Yami (my_december723) and I have been studying this mighty worm's movements since the 1st Day of Celebrating in Year 8. Our intrepid reporters have been blasted over 7,000 times by this beast, but we have collectively obtained over 7,000 items as our reward. Forty-two of us even got the coveted Snowager avatar! The information we gather we offer freely to you, so that you might learn from our experiences. VISIT the Snowager (6AM-7AM, 2PM-3PM, and 10PM-11PM NST). Please only send your report from your main account, as it is against Neopets' T&C to visit from side accounts -- don't risk getting your account iced! FIND THE EXACT TIME you visited. After the page loads, go to VIEW and then select SOURCE. A new window will pop up. Press CTRL + F and type in NST. (You may have to click NEXT to find this by a time.) For help finding the exact time the page loaded, click here . Copy and paste the time into the neomail to Yami. Paste into the neomail the text of what happened (icy blast, massive icy blast, wakes up, etc.). Include the URL or the exact name of the item you received (yellow snowball, blue mynci plushie, etc.). Note if you have used the VIEW SOURCE method. Otherwise, only your minute will be counted. If you receive the avatar, please tell us! And use the avatar when sending your message. If you receive the avatar, please let us know if your pet(s) were at full HP, zero HP, or somewhere in-between before you visited the Snowager. It might also be useful to know if, when you received the avatar, your pets were happy or sad; hungry or bloated; and how many neopoints you had on hand at the time. Maybe one of these details is the key to the avatar! CLICK HERE TO REPORT YOUR SNOWAGER ACTIVITY! YAMI'S INBOX FULL? REPORT TO OUR BACKUP REPORT COLLECTOR! Our findings are now posted here on Chill_Of_The_Night's petpage. AN AVATAR HAS FINALLY BEEN REPORTED! It's been 9 months since the last one! Congratulations to blugaligal who got the av on 4/5 at 10:11:48! And...that's the only new thing to report. Due to family problems and other sources of massive stress, I haven't been able to update this page. Don't get me wrong, I'm not ending the project. I've still been collecting data, but I haven't gotten around to updating. I'm not sure when this page will be fully updated again. Yeah, I know, you guys are sick of hearing my pathetic excuses for lack of updates. But real life keeps getting in the way. I've got midterms next week and I've been sick. So...yeah. But I'm back for now! New item stolen: Small Neggnog Smoothie! I'm very happy to announce that there's been an increase in the number of reports over the last few weeks. I'm not sure why, but I hope this trend continues! YAY CHRISTMAS! I had the whole month to write something, and I do it on Christmas. Yeah, nice going Yami. But anyway, nothing's been going on. At all. No avatars, no new items. So the reason updates have been sparse is because there's nothing to update on. And also, I'm pretty lazy. Yeah, let's just go with that. I'll try to update again before Year 10 begins. Wow, it's been exactly 1 year since I took over the SSP. Honestly, I didn't think I'd last this long. I'd like to thank all of the reporters for their support, and for helping me by providing the info that I've asked for. The SSP wouldn't exist without you guys! The newest item stolen is the Icy Snowball. It's December! That means the Advent Calendar is active again! Go here to collect your prizes daily! *writes and writes* Wow, I'll never get 50,000 words...anyway, time to update! New item reported! Abominable Snowball Light String! Still no avatar reports since July. I'm still trying to figure out how this time last year, we were averaging 74 reports a day. Now I'm lucky to get 10 a day. Am I doing something wrong? New item stolen! The Blue Buzz Plushie! I'm not grounded anymore! But I've been noticing an extremely drastic decrease in the amount of reports. Are you guys losing interest or something? I mean, there's only so much I can do to build up interest. I'm not sure how to get more reports. We've got the banners at the bottom of the page. If you guys have any ideas, PLEASE let me know! WHAT IS IT WITH ME AND BEING LAZY?! Um...yeah, so I finally felt like updating. Nothing important's happened, though. No avatars have been reported since July 29. New item stolen! Guide To Tuskaninny Plushies! That's really it. Well, I've also noticed a drastic decrease in the number of reports, but I'm assuming that has to with school/college. And speaking of school, I'm even busier this year with tons of homework and extracurricular activites, so don't get all upset if I don't respond to Neomail instantly. Okay, yeah, I know it's been over a month since I updated, but don't worry, for the SSP is NOT dead! I spent most of August reading Les MisÃ?Â©rables (which was AMAZING) and didn't really feel like doing anything else. Yes, I know I'm extremely lazy. I have a question for Premium users: exactly how do you obtain the time from the source code when you have Premium? Some people have been asking me, but I don't know since I don't have Premium. I still need a few more reports for minutes 44 and 49. Congratulations to nicegirl134 who got the avatar on 7/11 at 2:00:28 and to longtime reporter totallyicedbluecat who got the avatar on 7/13 at 10:05:24! Guess good things can happen on Friday the 13th! New item stolen! The Green Lutari Plushie! The minutes I need more reports for are: 16, 25, 26, 27, 28, 34, 38, 40, 42, 44, 46 and 49.
spottedwarf was kind enough to make us a new button. I know I haven't updated in a while...it's just that I've been really busy with a lot of stuff. But now school is over! There have been over 600 reports for minute 0 and 20,000 reports overall! Congratulations to starizard who got the avatar on 5/14 at 2:54:49! There may be fewer updates in the coming weeks. Even though my finals don't start until the middle of June, I've already started preparing. 2 new plushies were stolen! The Green Hissi Plushie and the Yellow Hissi Plushie. The number of reports is slowly starting to decrease. The most reports I've gotten in one day this month is 23. Lots of keyrings and neggs stolen thsi week. Not a lot of plushies and snowballs, though. I would like some more reports for minute 19. We finally have an avatar report! Congratulations to pinkyhs57for getting the av at 10:49 on 5/4! Very few items have been stolen this week. There are some days where only 1 or 2 items have been stolen. I would like a few more minute 8 reports, and also a few more at 2:07:56. Wow...TNT destroyed the site. This new layout is the WORST thing that has happened in the 2+ years I've been on Neopets. My Zafara looks hideous. Why fix something that's not broken? And since my normally very fast computer runs slow thanks to the layout, I will be on A LOT less. New stats project! The Fruit Machine Stats Project is now running! Check it out in the Other Links section! New item! The Blue Hissi Plushie has been stolen! Some people are curious as to mow many reports I get a day. Back when I first took over in December, I got about 60 reports a day. Now...I get about 25. I guess people have lost interest in the SSP. But the good news is we get new reporters almost every day! I've also been asked to address when the best times to Neomail me are. On weekdays I'm at school from 4am NST until noon NST. Sometimes I don't get around to logging on until 5pm NST. Depends on how tired I am. On weekends I'm usually on from about 9am NST until 2am NST. But on Saturdays I'm busy from 1pm NST until 3pm NST. So...yeah. Now you guys know the best times to Neomail me in case you have questions or anything. If you've been sending in reports regularly and have been viewing the source, but do not see your name on the reporters list, please Neomail me and let me know so I can add you. On Monday, 4/23, I will probably not be available all day. I'll be out celebrating my 16th birthday. 2 new neggs have been stolen! They are the Jelly Bean Filled Negg and the Candy Filled Negg! Lots of blasting going on this week, but no avatars have been reported. I'm experimenting with the time 10:02:44. Please try to visit at this time if you can. I would also appreciate a few more reports at minute 37. UPDATE: I've gotten a report of ANOTHER new negg being stolen! The Chocolate Candy Filled Negg! Well...there was a report of a new item being stolen. It is the White Snowball Plushie. I've only gotten one report of this being stolen, and no screenie proof. So if you receive this, please take a screenie and show it to me. I've added it to the item list anyway. Reminder to all new reporters: PLEASE state if you have used the view source method when sending your first report. I get annoyed when people send in incomplete reports. (If it's an accident, it's fine. I've left out stuff by accident when I was a reporter. Just send a second Neomail with whatever info you forgot. What I'm talking about is people who don't read this page in full.) If you don't know how to obtain the source time, this page tells you exactly how to do it. New stats project! Now there's a Tombola Stats Project! It's linked to in the Other Links section. Check it out! This is an ongoing analysis. * Numbers in red did NOT change since the last update, giving us a pretty good indication that the percentage is accurate. Also of note, the percentages for the minutes are now changing only some-hundredths of a percentage point each update -- again, indicating accuracy. **Avatar percentage includes some attempts by reporters who have received the avatar, so the percentage is actually a bit higher than shown. TIMES OF INTEREST -- See if attempting at the following times gives you the same results. Don't forget to report in no matter what happens! :) This section has been completely re-analyzed! All 3 attempts have received an item. Three out of 4 visitors have received negg items at this time. All 3 attempts have resulted in massive icy blasts. All 3 attempts have resulted in items. Two attempts have resulted in scratchcards. All 3 attempts have resulted in icy blasts. Times with 20 Attempts or More - try reporting at these times if you can! Whenever someone gets the avatar, the data will go here. Perhaps we'll see a trend eventually! *crosses fingers* Congrats to these lucky folks! Some questions we would like to answer: Does the second matter? Does it need to be a combination of the second, minute, and hour to always be sure of the result? Do people with usernames beginning with certain letters get different results than other usernames (like the Shop Wiz)? 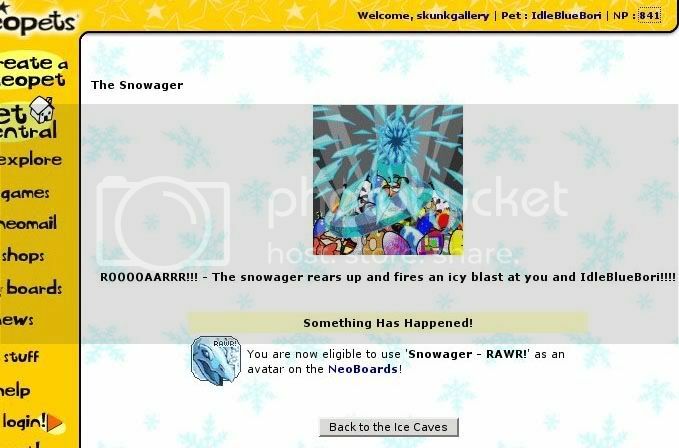 Will anyone ever get one of the super rare items from the Snowager? So many questions. Hopefully, we'll find answers to these questions AND questions we didn't even know to ask soon...and the results will be posted right here! During the week of Hiding 1, Y8, the Snowager gave out a lot of snowball items, more than any other items. During the week of Hiding 13, Y8, the Snowager did not give out very many items of any kind -- mostly he just blasted, moved, and woke (but not exclusively). During the week of Hiding 20, Y8, the Snowager gave out lots of Battledome weapons, more than any other items. During the week of Gathering 8, Y8, the Snowager gave out loads of neggs, more than anything else. On Monday, Gathering 11, Y8, the Snowager gave out a very large number of plushies, more than any other item. Also on Monday, Gathering 11, Y8, there was an unusually high percentage of items stolen (48%!) when the normal range of stolen items is 25-35%. On Thursday, Gathering 7, a huge percentage of reporters had nothing happen to them during their visits (waking/moving). We can definitely discount that just going at the same minute or even the same minute AND second (10:22:30, for instance) will guarantee any particular result for some combination. However, it's still under investigation whether going at the same exact time on the same day of the week or date of the year WOULD guarantee a specific result. And just maybe the username of the reporter has something to do with the results as well. It could also have something to do with when the page loaded BEFORE clicking to try to steal rather than after. We are still looking at the AFTER, but might switch in the future. More reporters visit the Snowager from 10-11 pm than the other two times (6-7; 2-3); however, most of the avatars have been won at the 10-11 time. Therefore, your chance of getting the avatar is higher when Snowager is sleeping from 10-11 pm. Is this because your chances of getting the avatar are higher due to less people visiting? Or is it just a plain and simple truth that the avatar is giving out more often at night? Click here to see the many treasures our pioneers have stolen! This is a portion of the raw collected data for Phase 3. BD=battledome item; KR=keyring; NG=negg; PL=plushie; SC=scratchcard; TI=total items. Analysis: More neggs doled out in September; but more plushies stolen in October. Also, October had more total second reports -- by almost 500 reports. What's the difference between an icy blast and a MASSIVE icy blast? Icy blast only harms your active pet; MASSIVE icy blast will damage all your pets. You can get either one, even if you only have one neopet. So are there problems with this project? People prefer to visit in the first half of the hour, so it's tough to figure out what goes on in the second half. Some people only report the good things - when they get items. This will skew the data something fierce. This does not mean you shouldn't report if don't go very often - just please try to remember to report each time you go! There is an open question about whether it's possible to get an item twice in one day, and whether changing the active pet makes a difference. This is also something that's probably worth tracking in the future, after our reporters are better trained. Some folks want to help but they don't give all the information. We can't use it if it's incomplete. Since you asked . 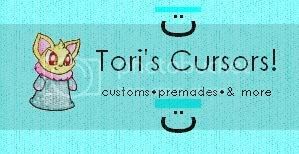 . . we have some awesome banners to link here. Why are you compiling Snowager statistics? What are the best times to visit the Snowager? What kind of items can I get from the Snowager? So far we've gotten Neggs, Scratchcards, Snowballs, Keychains, and Cool Weapons (as described by the text when you succeed in stealing something). What's all this Phase 3 stuff? The original plan for this project was to crack the "code" of the Snowager, and see if there was an easy pattern. After the first thousand logged attempts, it became obvious that it wasn't going to be something easy like visiting on the third minute if the day begins with a "T." There doesn't even seem to be times when things don't happen. Phase 3, instead of looking at the minutes, will attempt to focus on the seconds, to see if there is a pattern there. If you are not on this list and are a regular contributor, that means I am not recording the seconds you visit the Snowager; however, if you tell me the minute you visited, I am still recording that. If you are viewing the source to get the exact time, please let me know so I can add you to this list. Thanks to all our reporters, linkers, graphic designers, and pioneers! (For a full list of thank you's, please see the Phase 1 page.) Also, special thanks to denny_the_wench who helped design the Phase 3 spreadsheet; to Puddytoes for creating and hosting the ultra-helpful screenshots; and to sillyliss for being the back up collector full-time, for showing me how to run the project and for putting up with me when we started to run into problems! We welcome any suggestions you may have to better compile these statistics or lay out this page. Don't be shy, neomail Yami with any ideas you may have! 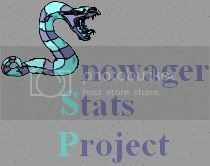 Please spread the word about the Snowager Stats Project by linking to us. Simply select all the text in the box below the link banner and paste it into your lookup, shop blog, or petpage. 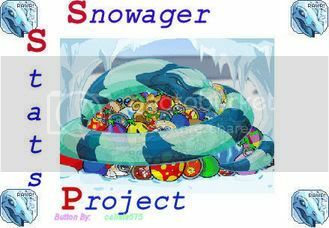 The idea for the Snowager Stats Project was that of the wise and noble otherlleft who (along with Neopets) created all of the images on this page; please don't take any of them. All praise otherlleft -- and throw your leftover sludge his way! Page last fully updated on Sleeping 15, Year 10.